We all know how gross puke is, especially when you’re the one that has to clean it up. Not only do you have to remove the stain, but the smell needs to be removed with it. 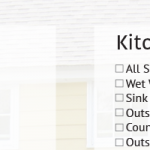 We always recommend getting professional help for the bigger messes, but you’ll find below a great way to remove puke and that awful smell using common household items. If you think you might puke yourself because of the smell (like me), put something with a strong scent on your top lip, right underneath your nose. Vicks vapor rub or a mint essential oil works well. If it’s a smaller mess, you could try using a spoon to get the puke off the carpet. Try to clean the puke as soon as possible. The longer it sits, the more it will soak into the carpet and leave a bigger mess. 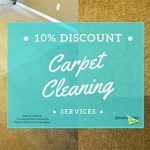 If you’re nervous to clean this yourself because you don’t want to cause permanent staining or damage to your carpet, it’s best to contact your trusted local carpet cleaning company and have them take care of it! Try to remove as much as the puke as possible. Use the dustpan and spatula to lift the puke off the carpet. For smaller messes use a spoon or butter knife. *Do not press with the spatula or spoon hard into the carpet. Use a light touch and try not to spread the vomit. *If it is more a liquid puke, use paper towel and old cloth to blot up the puke. Use paper towels or old rags to blot up all moisture. Sprinkle the area generously with baking soda or cornstarch. Make sure the entire area is covered. This will soak up the rest of the moisture. Take a break, and let the baking soda or cornstarch sit for 10-15 minutes. Next, break out your vacuum and vacuum up the baking soda/cornstarch. Then, use your enzyme based cleaner (in a nutshell, the enzymes break down the odor), covering the entire area with the cleaner. Blot the area with your paper towel or rags, repeating as needed until satisfied. Wait for carpet to dry. 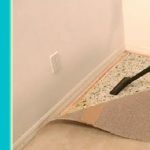 Go over the dry area with the vacuum to bring the carpet’s texture back. Yuck, cleaning vomit is not a fun task on any day. Life is messy and gross sometimes. Kids get sick and puke on the carpet and animals do too, and there you are – left with gross vomit on your new carpet. I can’t emphasize enough to put a dab of mint anything on your top lip while cleaning up the mess. Even if you can only find some chapstick or a bit of toothpaste, it’s worth it. And there you have it! We think that’s the best DIY way to clean puke off your carpet. The Vomit Spots Appear to Be Gone, but Are They Really? 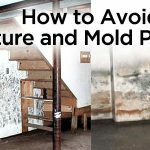 These steps above will get your carpet visibly clean. 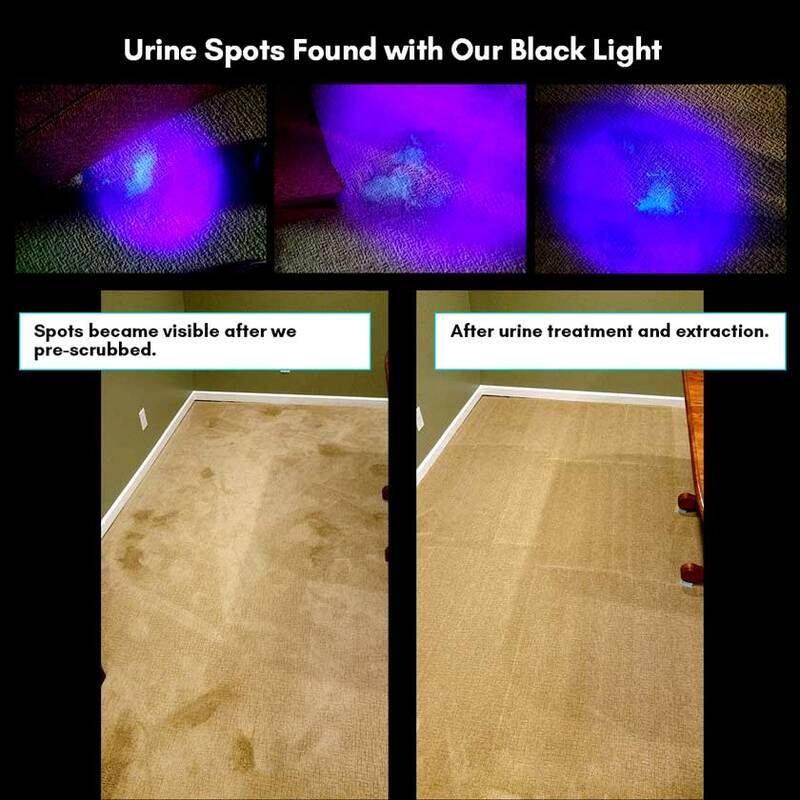 If you want to rid your carpet of all soils, urine, and smells, give us a call–we’re professionals at getting out cat and dog urine and vomit spots. 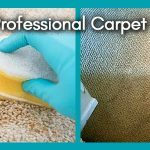 269.344.3600 or click below for professional carpet cleaning help! Want more tips and tricks for DIY stain removal and more? Subscribe below for our emails! Very useful tips mentioned above. But I have heard that one should never rub the stains and always blot the stain. Rubbing spreads the stains, and worsens its effect. Whereas blotting the stain will remove that part of the stain without spreading it all over.